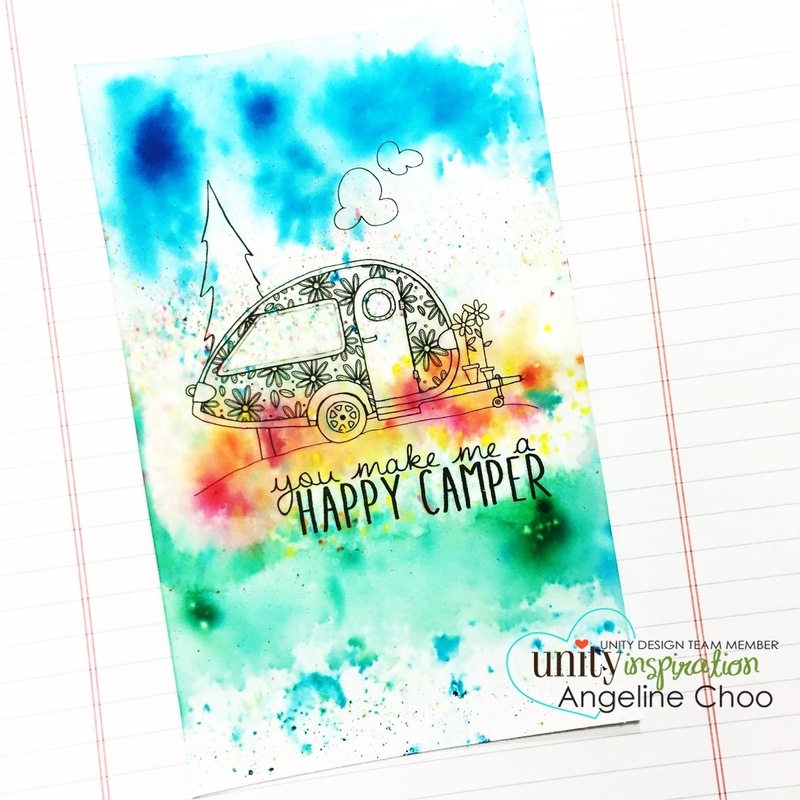 Angeline here to share with you the NEW Stamp of the Week - Camper Bliss. This stamp is just the cutest!! 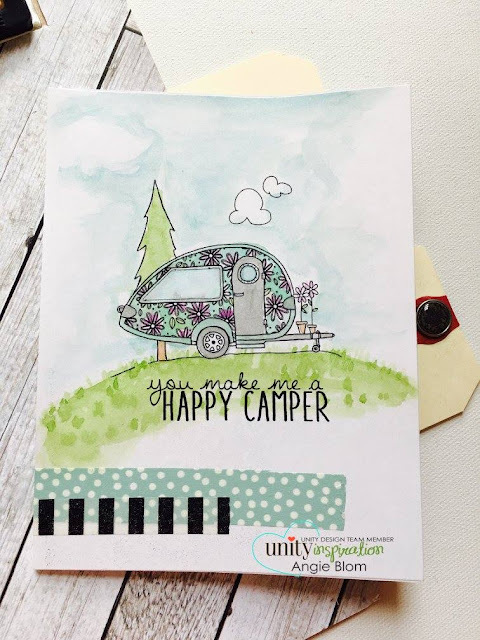 It reminds me of the trip I took recently in a campervan --- an absolutely exciting and fun adventure indeed. Here's a card I made using lots of Ken Oliver's Color Bursts to add some fun psychedelic colors! And here's a card made by our beautiful Angie Blom. So cute don't you think? 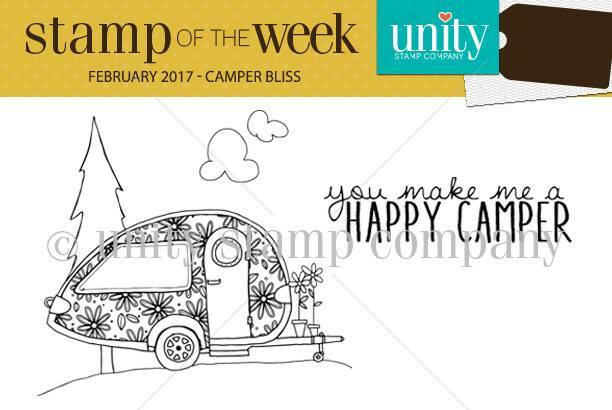 Stamp of the Week is a fun subscription, delivering a brand new surprise to your mailbox every week. Designs change weekly. The current sotw is here. To see past sotw go here. And, if you want to shop the NEW releases, go to the Unity store.